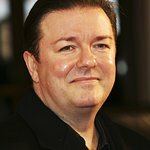 The British Union for the Abolition of Vivisection (BUAV) has launched a high-profile campaign, Stop the Baby Trade, backed by comedian and actor Ricky Gervais. The campaign calls for an end to the cruel international trade in monkeys for research. Every year, thousands of wild monkeys are torn from their families and jungle homes to be either exported directly for research or imprisoned on farms to produce babies who are later shipped overseas as cargo on airlines, where they will likely suffer and die in cruel experiments. It is a ruthless trade which inflicts great terror and suffering. Stop the Baby Trade, with its symbolic campaign logo, poignantly illustrates one of the many horrors faced by victims of the primate trade – the forced early separation of a mother from her infant, which can happen at just 6 months of age. Natural weaning is a gradual process. Forcibly separating infants from their mothers is an extremely distressing experience. In the wild, primates normally remain with their family group for many years, sometimes for life. Ricky Gervais was shocked by the BUAV’s evidence of the brutality and cruelty inflicted on our close living relatives during their capture, confinement, caging, transportation and eventual death in the laboratory.